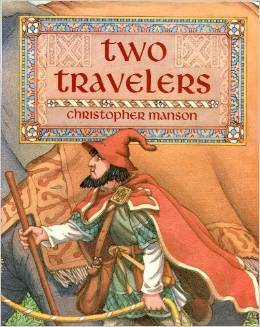 TWO TRAVELERS – Written and illustrated by Christopher Mason, Two Travelers is a story about Isaac, an emissary for Charlemagne, who is sent to Baghdad to bring tidings of peace to the Caliph. The Caliph accepts with the return offering of Abulabaz the elephant. Isaac must now find his way back to France–with the elephant. Together the two travelers manage to finish their journey and become fast friends in the process. Ages: Suitable for ages 6 and up.